as for now there is no way to remember the old settings. If you are uncertain about future optimizations I would just create a copy of the mesh and work with that. If I do that, what is the purpose of being able to select different meshes for simulation runs? Maybe @sguenther can provide you with more information on this issue and if there is anything planned. As of right now this message is not always accurate. It’s shown even if you only tried to change the name of the mesh once without changing any settings. We’re planning to fix that issue soon(ish). But @jousefm is right. The best way to preserve old mesh settings is to copy your mesh after it has been generated and to make any modifications only on the copy. This way you have a history of meshes to choose from. Issue with selecting a different mesh and all assignments being lost. 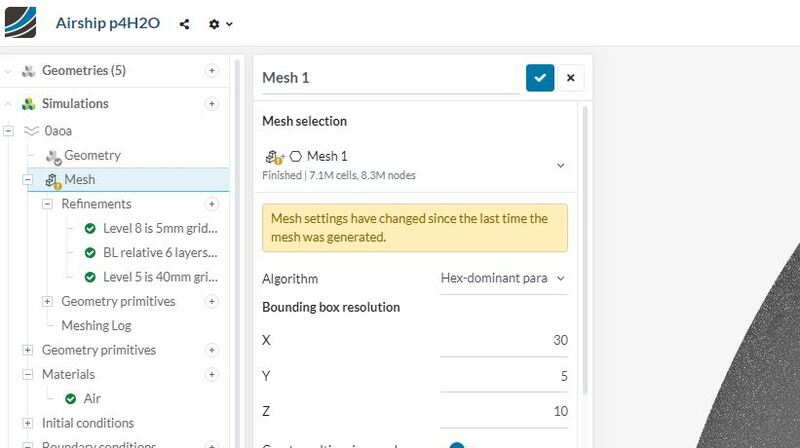 The possibility to exchange the mesh without losing any assignments in your simulation setup depend on the fact if we can map the entities on your CAD model (solids, faces, edges, nodes) directly (and completely) to your meshes. However, this only works if the geometry and the mesh are sharing identical dimensions, which is not the case for “External” meshing. But there is a very elegant way to work around that limitation. 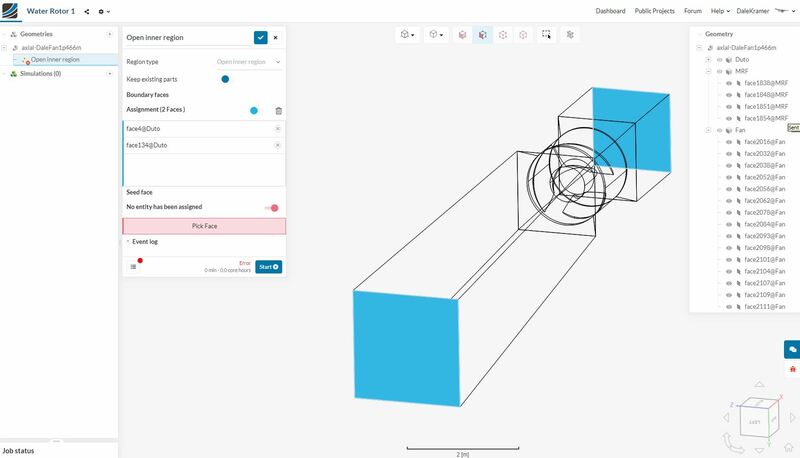 Check out our Fluid Volume Extraction feature, which let’s you define the fluid domain on the CAD-level already. This way, all your meshes will (most likely) be able to be mapped to your CAD model, making a simple switch of meshes without losing the assignments possible. Let me know in case you need help or have more questions. I have found many more issues trying to work with meshes which are sortof embedded into simulation trees and I definitely want to explore Fluid Volume Extraction. Before I go back and modify the CAD file to create those borders, is there a way to do it on the existing CAD file? Why can’t the fluid volume be extracted by using the already existing Geometry Primitive ‘Material Point’, instead of a seed face? Meshes are not specific to one simulation, but shared across all of them. That means that making changes in one simulation, will change the mesh everywhere else it is assigned as well. This is intended, but we’re working on a few ideas to make that more obvious in the workbench interface. The case you show above can’t be used for flow volume extraction unfortunately, since you already have an extracted fluid volume. In your case you’d need to perform a boolean operation to cut the rotor out of the fluid domain. For the flow volume extraction to work for your case, you’d need the walls of the duct as well as the rotor, but still couldn’t keep the MRF zone. Bottom line: Flow volume extraction is not yet optimized for use with rotating zones. But the airship case above would be an ideal use case for it. Is it possible to do the subtraction of the rotor from the walls in CAD and then use that as an ‘open inner region’ for further assignments in SimScale? Actually, I decided I have too many different project types on the go and I was beginning to ask questions about things that were not related to this main topic issue. In the meantime Bryce has created a topic on Fluid Volume Extractions and I want to see where that goes. I think I will leave this topic relatively untouched and summarize that the ability to Reset meshing to where they were when a mesh was created does NOT exist. Sorry of confusion, mainly mine.